Albert Frantz began piano studies at the unusual age of 17—years after a childhood teacher proclaimed he would never be able to play piano. A graduate of Penn State University, he won local, state and national piano competitions and became the first pianist to be awarded a Fulbright Fellowship to Vienna in nearly a decade. Albert records for the Gramola label and is a Bösendorfer Artist. His first CD, of works by Romantic composer Charles-Valentin Alkan, was an official jury nomination for the German Record Critics’ Award, established to set the "most rigorous standards for supreme achievement and quality" in the field of music recording. His most recent album is Liszt’s complete Transcendental Etudes. Albert is also a passionate amateur IRONMAN triathlete and is among the most frequent contributors to the TEDx platform. A documentary about his life and work was released by dreama.tv in 2015. 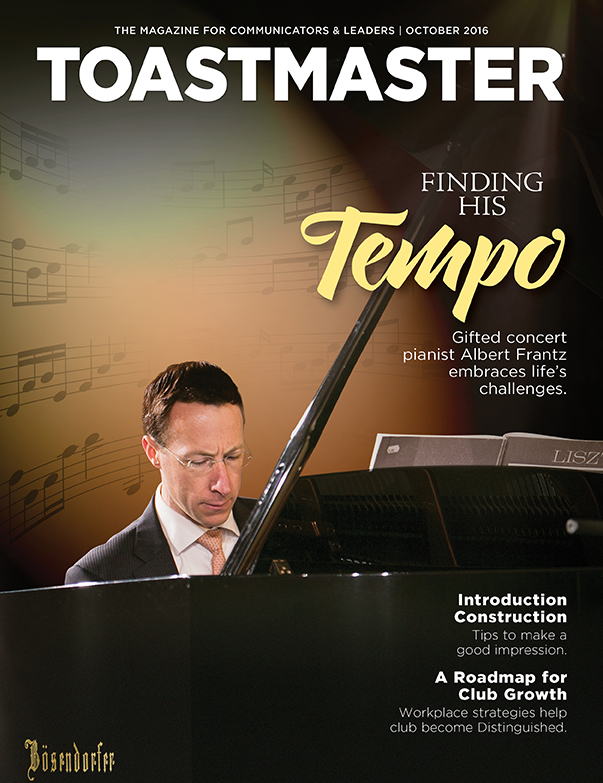 In October 2016, Albert was the cover story for Toastmaster Magazine, the official print publication of Toastmasters International, the world's largest organization for leadership and communication training in over 140 countries. He is Head of Mission, Austria for the global think tank Diplomatic Council, with which he advocates for issues of human rights and social justice. As a keynote speaker and activist, Albert has spoken at venues ranging from Vienna's City Hall to the United Nations in Geneva. He plays a Bösendorfer Imperial concert grand specially selected for the Vienna Musikverein.